Will a lawyer use this? Not since I was a young boy opening the box to a Dragon computer or a BBC Micro (I never had a Sinclair ZX Spectrum or a Commodore 64) have I had such anticipation over owning a new computer. My new Microsoft Surface RT was delivered on 31 October. It is a slick looking piece of equipment. The tablet itself looks, on the face of it, like the iPad or other similar tablets. What is different is (1) the optional touch keyboard that is wafer thin and doubles as a cover; and (2) the kick back stand that enables the screen to be propped up for ease of working with (or indeed without) the keyboard. The touch keyboard is surprisingly responsive and effective. The way it attaches to the Surface via magnetic contacts is also very neat. Lawyers like producing lots of words and a keyboard is probably essential to them for day to day working. Having said that the Surface is unlikely to replace the desktop PC but will be useful when on the move (I am typing this up on my Surface on the train from Inverness to Glasgow). If, however, you are going to use it more often than not with the keyboard do you really need a Surface rather than simply a laptop, notebook, ultrabook or netbook? More thoughts on that point later. 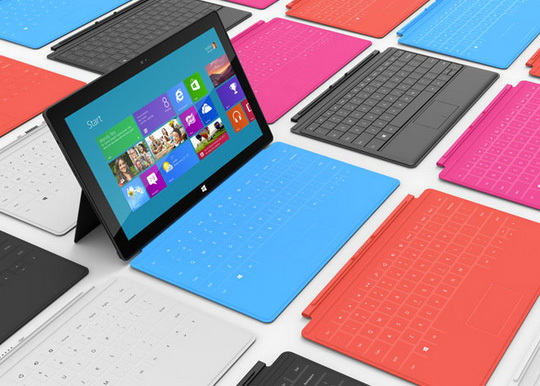 You can also purchase a standard style type keyboard/cover for the Surface. However, I can’t see any great need for that as the touch keyboard works perfectly well and will be more compact. Some lawyers may, of course, like something more traditional ;-). The touch cover comes in multi-coloured options but the UK online Microsoft store seems to encourage black and the only alternatives currently available for order from there are white and cyan. My one is black. Whilst the touch keyboard is also a cover it does tend to flap open unless wedged between other things in a bag or briefcase. You might still want a sleeve to put it into and no doubt plenty of accessories along those lines will be springing up if they haven’t already. Once I switched it on (took me a little while to find the switch!) I was guided through a quick and easy setup. I think when you look at the size and scope of the market opportunity just in terms of the number of devices going to market – and I appreciate that Apple’s done a tremendous job just driving consumer demand for the products that they sell and people really like – then you look at the order of magnitude on the PC side, on the Windows side, it’s… not tens of millions, it’s hundreds of millions. I think if I was a developer I’d have to stop and think: is this something I really want to ignore? One of the first Apps I downloaded was Remote Desktop as I was keen to logon to Inksters’ cloud via the Surface. This App allowed me to do so with ease. I had read that Remote Desktop was pre-installed on the Surface but I couldn’t easily locate it so just went to the Microsoft Store and downloaded it from there. When logged onto my law firm’s cloud the experience was no different from doing so via a netbook other than the ability to use the tablet’s touch screen. Indeed when I now switch back to using a netbook I have touched the screen expecting it to react but alas without any result. It is amazing how quickly you adapt to touch screen technology as the norm. If though I end up, on the whole, using the Surface just as a gateway to my law firm’s cloud would I not be as well just using a netbook? Will a touch screen add much to that experience? I will look at the advantages, if any, for a lawyer of a Surface over a netbook in a future blog post when I have had a chance to work out what they might be. For a lawyer who uses Microsoft Word (the vast majority do) the Surface has Word (as well as Excel, Powerpoint and OneNote) pre-installed as part of Microsoft Office 2013 RT. This for me will be handy if I am somewhere without internet access and have a need to work on documents when not able to connect to my law firm’s cloud. That is becoming less of an issue though. Even the train between Inverness and Glasgow now has WiFi on it. I could, of course, already do this with my netbook so nothing new there for me. It does, however, add a dimension to having a tablet if you are a lawyer and want easy access to all Microsoft Office offers on that tablet. Easier integration clearly exists if all your devices are Microsoft ones. That is the view I took at Inksters when relevant staff were issued with Windows mobile phones rather than iPhones, Blackberries or Androids. 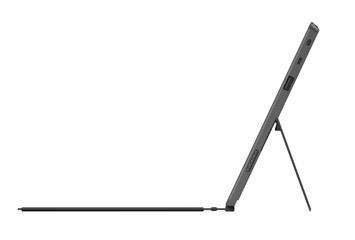 I think it is that integration that should make the Surface more appealing to lawyers than other tablets on the market. That is if lawyers really need a Surface at all. For me the jury is still out on that question. I have only had a Surface for three days and really need longer to see if I use it as a tablet rather than just as I would use a netbook. I will report further on my experiences of using the Surface in Part 2 of what will be a series of posts on the Surface for Lawyers. Scott on 04/11/2012 at 11:56 am. This was a great article. As a developer of iPad apps (iJuror and others) many of the same thoughts apply. Market adoption of the Microsoft Surface will spur developers to make their apps available for the new platform while popular apps being available will drive more people to purchase the Microsoft Surface. I believe the next few months will begin to reveal the new tablet landscape and I’m interested to see how it develops. Brian Inkster on 04/11/2012 at 1:20 pm. I don’t think it is just market adoption of the Microsoft Surface that will be the spur to developers but the success of Windows 8 in general. 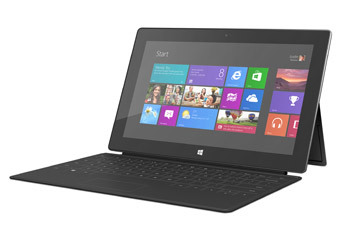 Unlike Apple and the iPad many other manufacturers will be (and already are) producing tablets, notebooks and ultrabooks that incorporate Windows 8 or Windows RT. 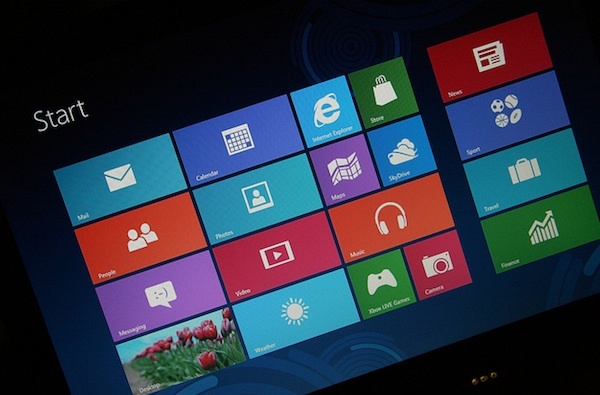 In addition many Windows 7 or earlier users will be upgrading to Windows 8. Thus I would be very surprised if the market for Microsoft Store Apps does not swell considerably in a relatively short space of time. If I was an iPad App developer, as you are, I would be seriously looking at converting existing Apps for use in Windows 8/RT as a priority. Russell on 05/11/2012 at 12:25 pm. Hi, I have held off purchasing the Windows RT Surface as I do intend to replace my portable with the full Windows 8 surface out next year. The availability of standard ports means that I can plug this into a standard keyboard and monitor whilst in the office. I don’t have to carry or purchase a tablet and portable – any device that replaces multiples is always going to be a success in my opinion. I think Microsoft have finally nailed it after many recent years of flops in the PDA market and will be a serious competitor for Apple and Samsung in the tablet and PDA space with Surface and Windows 8 – particularly for professional workers and even more so with mobile professional workers such as lawyers, sales, IFA’s, auditing etc..
Brian Inkster on 06/11/2012 at 11:03 pm. I didn’t have your restraint and wanted to get my hands on a Surface as soon as I could. May end up getting the Surface Pro as well (if I think there are benefits of so doing) and keeping the RT for use by others in the office whose main purpose may be to connect to the firm’s cloud when on the move. Having said that the Pro version may add little to my experience if most Microsoft Office use is carried out by me in the cloud anyway. Danny on 05/11/2012 at 2:24 pm. I personally think Windows 8 (Intel/classic & RT) will be a success regardless of the success of the Microsoft Surface line of devices. The biggest issue for longtime users, and some reviewers, is the deprecation of the desktop metaphor. It will take a “big” developer (someone other than MS, maybe Adobe?) to invest in the non-desktop environment to spur interest. A showcase app from someone other than MS perhaps. From there, developing apps for both Intel/classic devices and ARM (WinRT) devices is relatively straight forward as the MS development tools such as Visual Studio allow cross device compilation and targeting so there is very little effort required for vendors to “hit” both platforms. In terms of legal, I think there will be little development in the Win8/metro space for some time. Legal IT vendors are typically slow to react and take advantage of a given platform. Although saying that, the MS backed companies such as Peppermint might do better. I think we will need to be satisfied that Office 2013 is available and that we can connect to the corporate network as and when we need to. Brian Inkster on 06/11/2012 at 11:16 pm. I agree that Windows 8 / RT will not have to rely just on Surface to be a success. It will, of course, be available on a plethora of devices. I wonder if Legal IT vendors are typically slow to react because their customers (i.e. lawyers) are slow to adopt the platforms that would require development work by the Legal IT vendors? Nick on 06/11/2012 at 9:04 am. Whilst this is a great article and an interesting view from a lawyer perspective, I as a supporter of people in law would like to stop you doing almost everything you undertook in this article. The application of surface in a law environment isn’t just dependant on the experience of the end user. There are many other factors involved to ensure the environment the surface is used in is as secure and controlled as possible. The tablet and mobile push of recent years has been huge, but to a greater or lesser extent these devices have been somewhat easier to establish boundaries with because they are so ‘different’ from the standard environment people work in. The windows surface device is much more tricky. Establishing policies and controls for these devices will need a lot of work for IT, one day support functions may have these requirements understood. The idea that a tablet is a slightly different netbook may be sound on the surface (no pun intended), there is a large amount of work required from IT to make them viable in a corporate environment. That all said, I do enjoy seeing lawyers embracing new technologies. Brian Inkster on 06/11/2012 at 11:33 pm. However, I am unsure what you think I should be doing with my Surface. Also not sure why the Surface should be much more tricky to establish boundaries with (if indeed it is necessary to do so) than tablets or mobile devices that have gone before it. Jason on 06/11/2012 at 1:43 pm. I’ve used Windows 8 on a standard laptop for a few weeks now and like it more and more. I think I will move the way Russell is going, replacing desktop and iPad with a combi device where I can “snap” the screen off. I think the security argument though is flawed. We need to stop trying to control the device and look to control the data, the “App” world makes this easier and tools coming down the line from vendors should help with this. The control of data needs to be pushed to the “App” level from the “device” level. People no longer work in a “work world” and a “personal world”, its all one in the same thing. Danny on 06/11/2012 at 2:00 pm. Unless vendors (legal or otherwise) are transparent with their data storage and usage policies I don’t think data security can be moved entirely away from the device. If the app provider encrypts locally and remotely stored data then great, if they do not then the IT department needs to put measures in place to secure the device and to encrypt it also. Although saying that, if the app provider doesn’t encrypt remotely stored data I would imagine they’d go out of business quite quickly! Brian Inkster on 06/11/2012 at 11:46 pm. I agree that too much time can be spent worrying about the security aspects to the detriment of actually utilising the technology in hand. Use of cloud technology should lessen the security concerns in respect of the device itself.